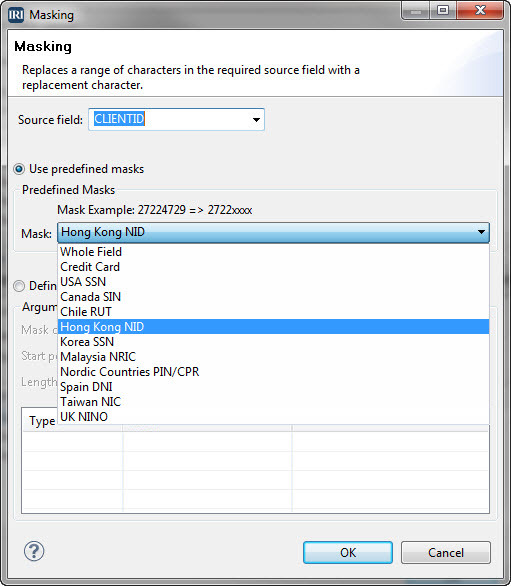 When using IRI FieldShield in the IRI Workbench, you can choose from default data masks for particular fields like credit card and social security numbers, or several other National ID (NID) formats. You can also specify your own custom-masking characters and digit offsets to mask entire fields, or just parts of them. Remember that masking data in this way renders the results unrecoverable because no underlying encoding information is available after the data are masked.